Inspired by outer space flight, the Jordan Proto-Max 720 provides all-day comfort with a future-forward look. An outer shroud covers the sock-like bootie construction, while Nike Air cushions every step. A 720 Air unit runs the length of the outsole for visible, bouncy cushioning. Internal bootie construction provides snug comfort. External heel strap offers a secure fit and added stability. Eyelet loops circle the whole ankle so you can lace the shoe your way. Have your say. 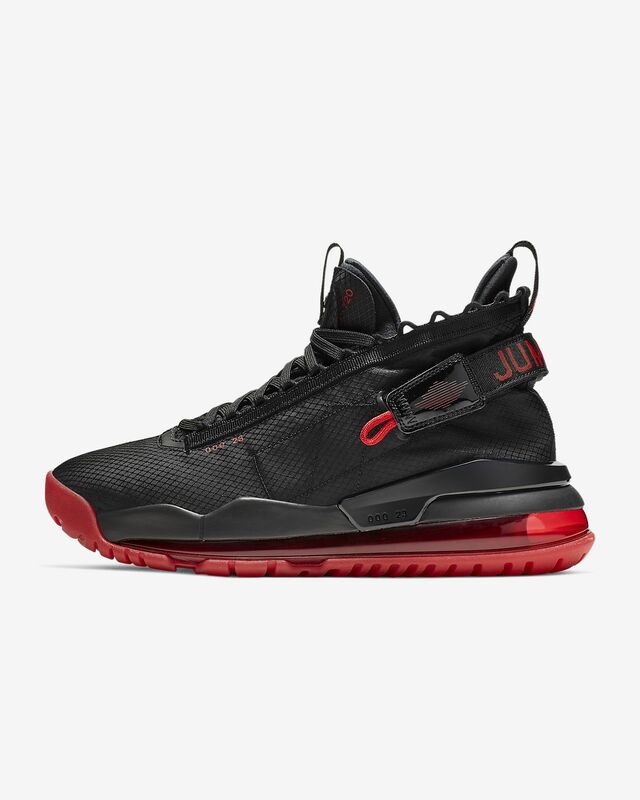 Be the first to review the Jordan Proto-Max 720.